Home » Cossacks of the Guard and Imperial Bodyguard. The Russian Imperial Guard, officially known as the Leib Guard (from the German word Leib means body). Tsar Peter I created in 1690, the Imperial Guard, which should first ensure bodyguard as his personal protection. 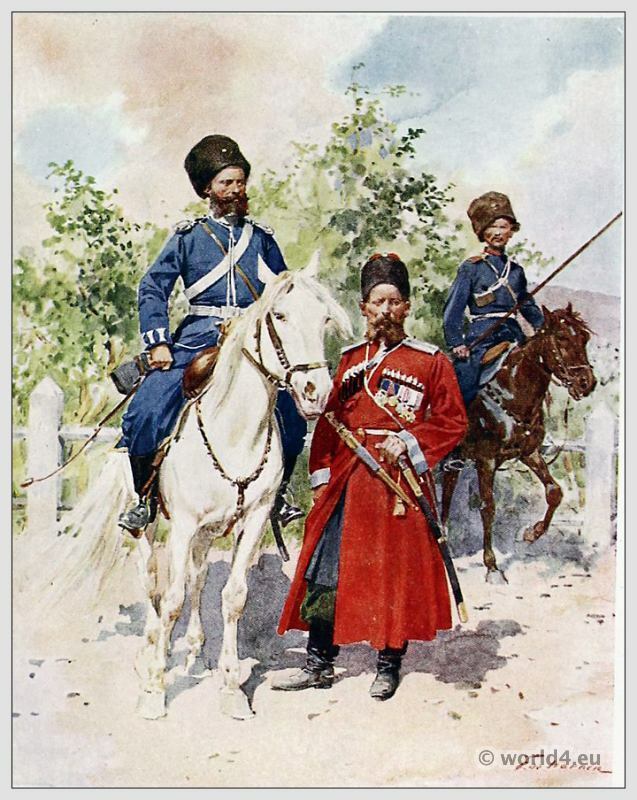 In the 18th century was the Russian Guard Infantry from the three regiments Preobrazhensky, Semenovsky and Ismailovsky. Gallery: Provincial Russia. Painted by F. De Haenen. Described by G. Dobson, H.M. Grove, and H. Stewart. Published by Adam and Charles Black, London 1913. This entry was posted in 19th Century, Military, Russia and tagged Russian Military on 4/22/14 by world4.